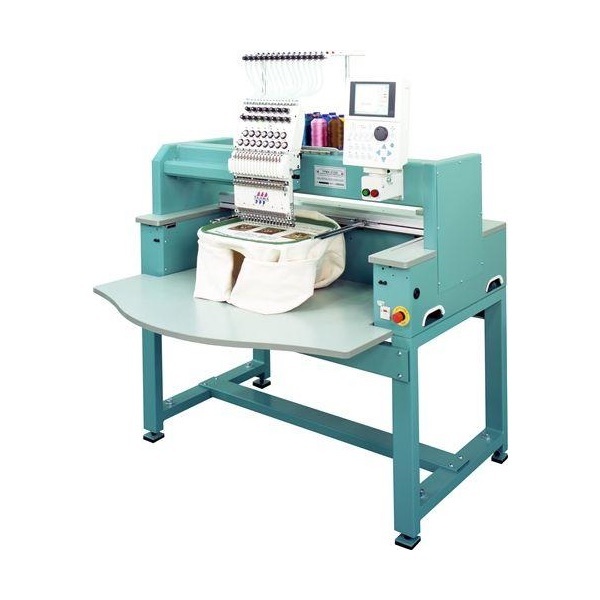 The Tajima TFMX-C1501 single-head commercial embroidery machine provides a large work area for bulky items. The larger machine footprint makes the machine a great candidate for options such as the Single Head Laser, Sequins, Lochrose, Cording and more. The World’s First Single Head Machine That Thinks for Itself. Tajima’s technological superiority has never been more evident than with the TFMX-C1501 (Stretch) single head embroidery machine. This workhorse has an impressive stance, can handle the most challenging of products and is ready for work 24/7. Standard features such as a LCD Control Panel, Precision Thread Break Detection and 1200 Stitches Per Minute make the TFMX-C1501 the perfect choice for virtually any application. The TFMX-C1501 machine takes our reputation as the world most powerful single head embroidery machine to an entirely different level. The TFMX is host to a huge assortment of options. The Seit SHL5 Option adds laser cutting directly to the embroidery machine. Decorate with Applique, Reverse Applique and more by adding the Seit SHL 5 Option. Stitch conditions can be memorised together with embroidery data. The saved stitch conditions are applicable to job repeat. or other machines.